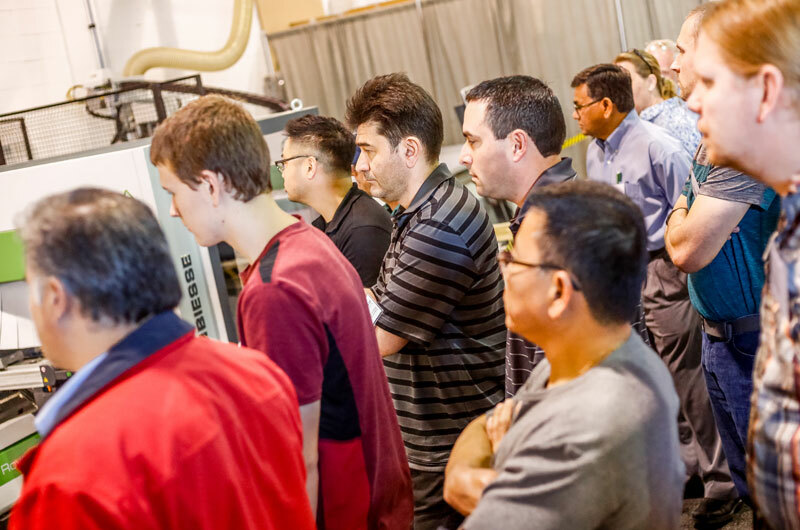 Biesse Canada held a special, educational seminar and demonstration event. 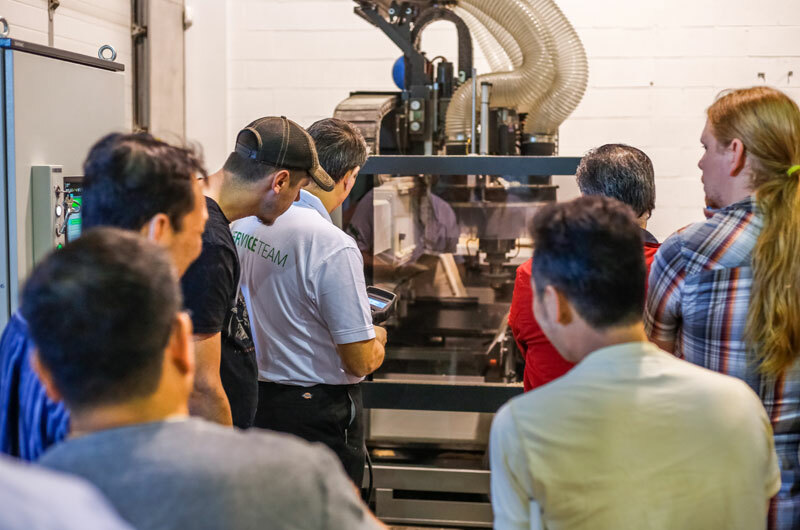 On June 14, Biesse Canada held a special, educational seminar and demonstration event designed to introduce and explain the proven techniques for manufacturing North American solid wood windows and doors. It was held at the Toronto area showroom on Laird Road in Mississauga. The all-day event was attended by a dozen customers, most of whom stayed for the entire day. “We wanted to offer something a little different this time,” said Matt Fleming, Biesse’s vice-president of sales. 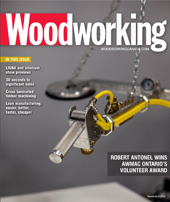 “So many events these days focus on panel processing, and of course we hold those as well, but for this event we wanted to focus on solid wood and window and door production. Fleming says the market for wooden windows and doors in North America is growing and with increased automation these, formerly high-end products, are becoming more accessible and popular. 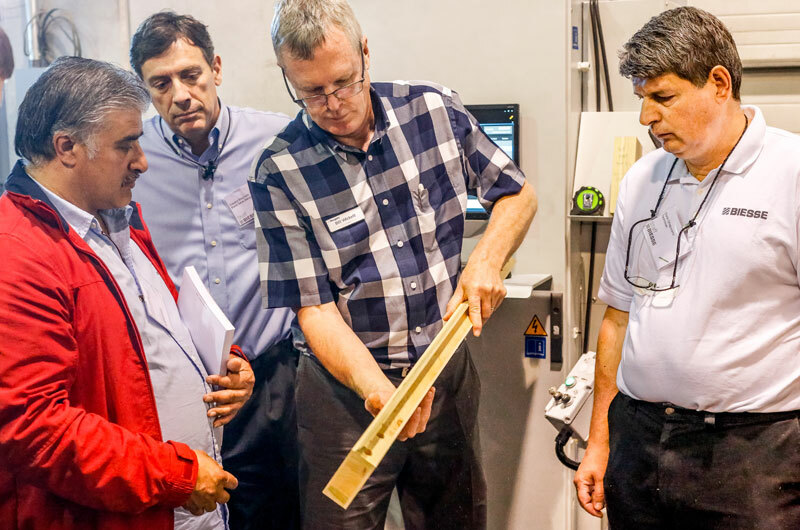 The seminar offered a look at the latest manufacturing solutions for styles and joinery techniques designed to increase productivity, accuracy, quality output and flexibility. 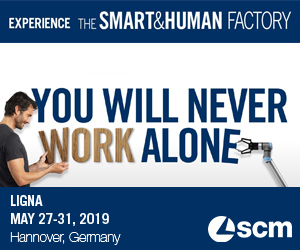 In addition to machine demonstrations and machining tips, the event featured seminars by Rangate, Biesse’s bSolid software and wide belt sanding and there was also an Intermac seminar about glass handling, cutting and processing. A question and answer period ended the event. More Biesse events are planned for late fall in Toronto and Montreal.